At last! 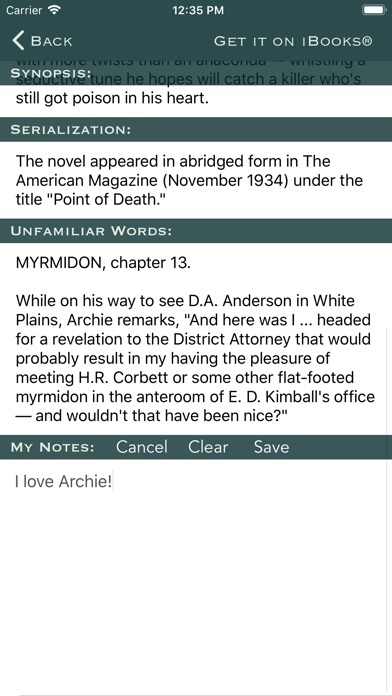 Here is the perfect app for fans of Rex Stout and his brilliant, oversize, eccentric armchair detective, Nero Wolfe and his trusty sidekick, Archie Goodwin! 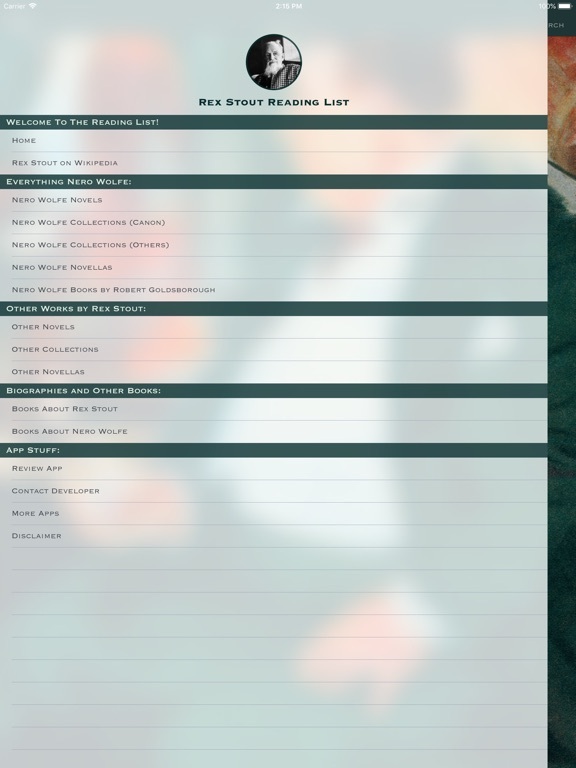 Use this checklist to keep track of all the murder and mayhem that Nero and Archie get up to, as well as to discover and explore Rex's other works outside the realm of that astounding detective duo. 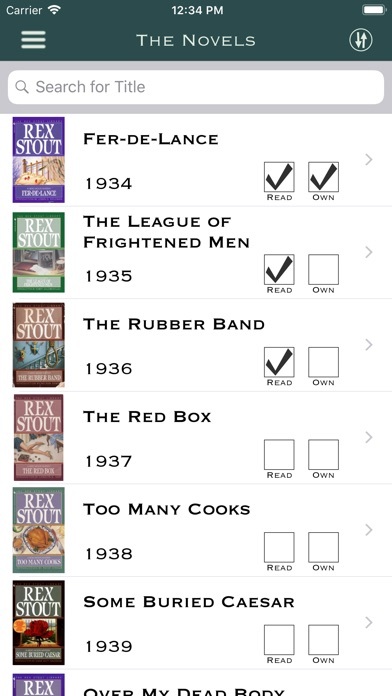 All Mr. Stout's novels, collections, novellas and short stories are listed within this app. 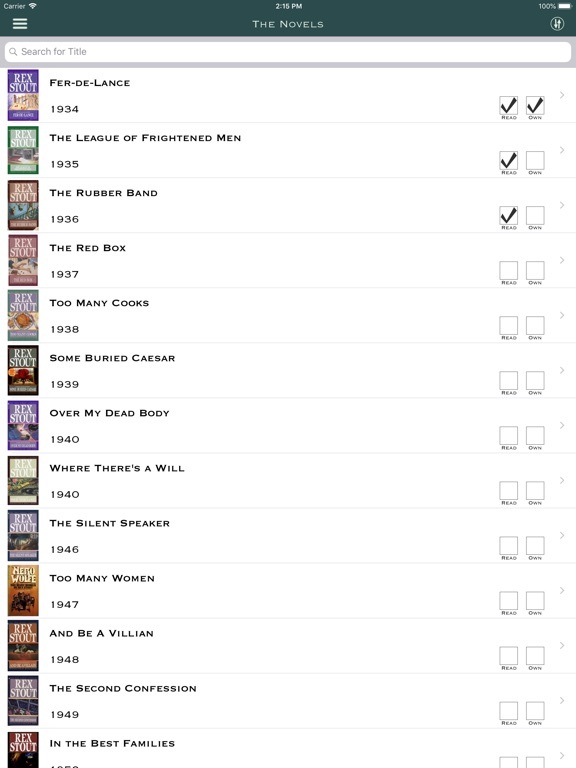 Add a checkmark when you've read a book and add another one when you purchase a book. No need to remember offhand if you've already got it or not. 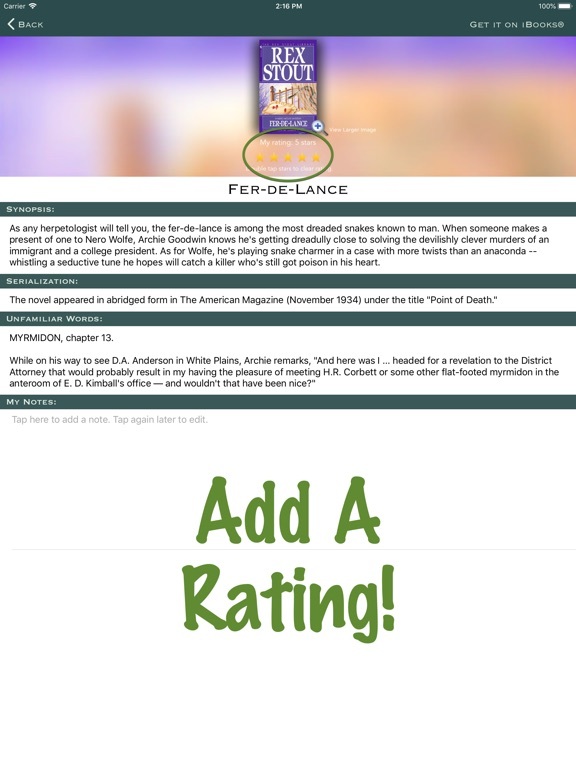 Give each story a rating and add some notes. 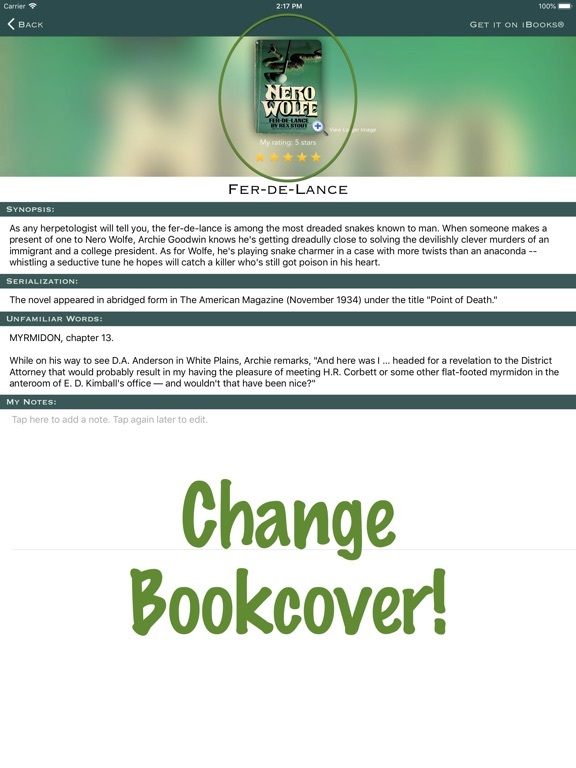 Then, personalize your list by adding your own bookcover image to the app. What could be better? 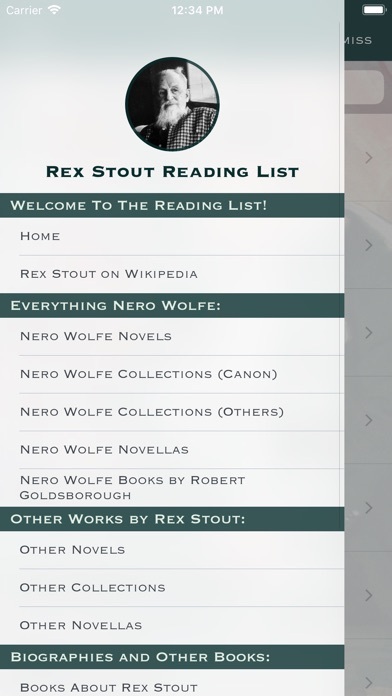 Rex Stout began his literary career in the 1910s writing for magazines, particularly pulp magazines, writing more than 40 stories that appeared between 1912 and 1918. 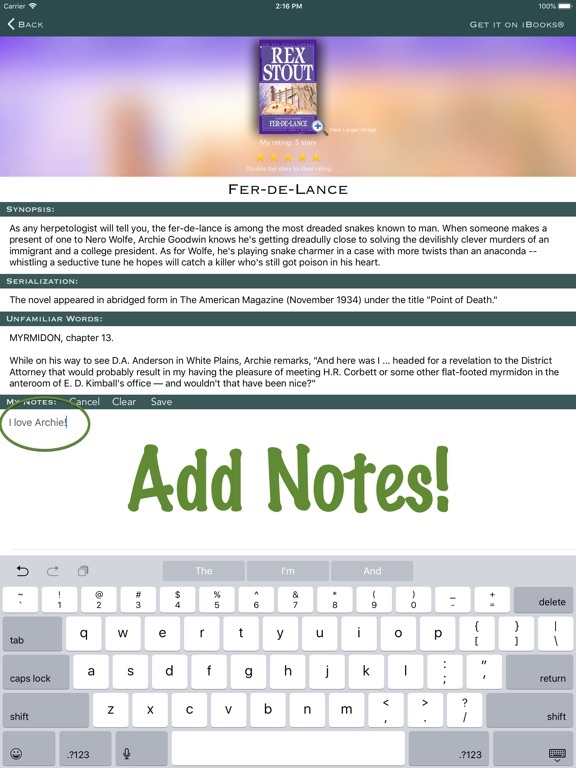 Find a list of those stories within this app! Stout was quite prolific and also wrote novels and other stories that featured detectives Theodolinda "Dol" Bonner, Tecumseh Fox, and Alphabet Hicks, along with other thrillers, romance, science fiction and more. In 1959, Stout received the Mystery Writers of America's Grand Master Award. 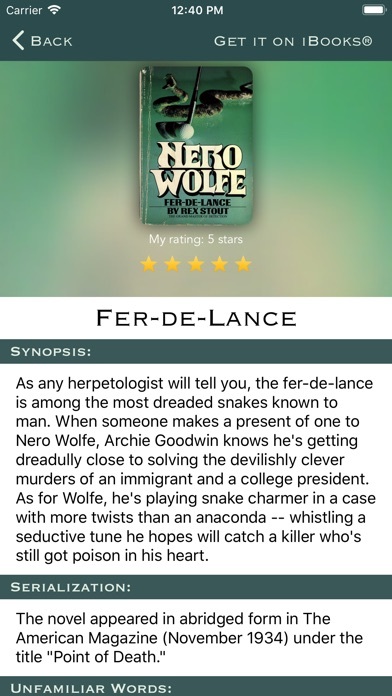 The Nero Wolfe corpus was nominated Best Mystery Series of the Century at Bouchercon XXXI, the world's largest mystery convention, and Rex Stout was nominated Best Mystery Writer of the Century. 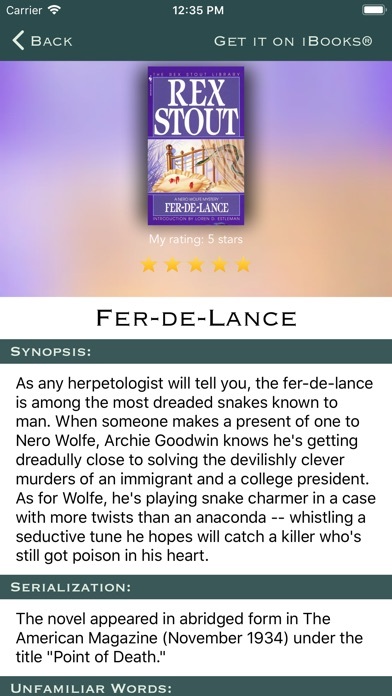 Get started reading now and see what all the hype is about! Use this app to mark your progress. Your inner detective will thank you.